Even by my own account this will be a strange post because it starts with a dream or a thought that I had about brooms. The very first thought I had one morning was “Three brooms,” so I wrote it down. Since I rarely remember a dream I pay attention to those I do remember so I said okay, we’ll do brooms. But what do I know about brooms? I know broom moss (Dicranum scoparium,) but the only thing it has to do with brooms is how it looks like it has been swept by one. 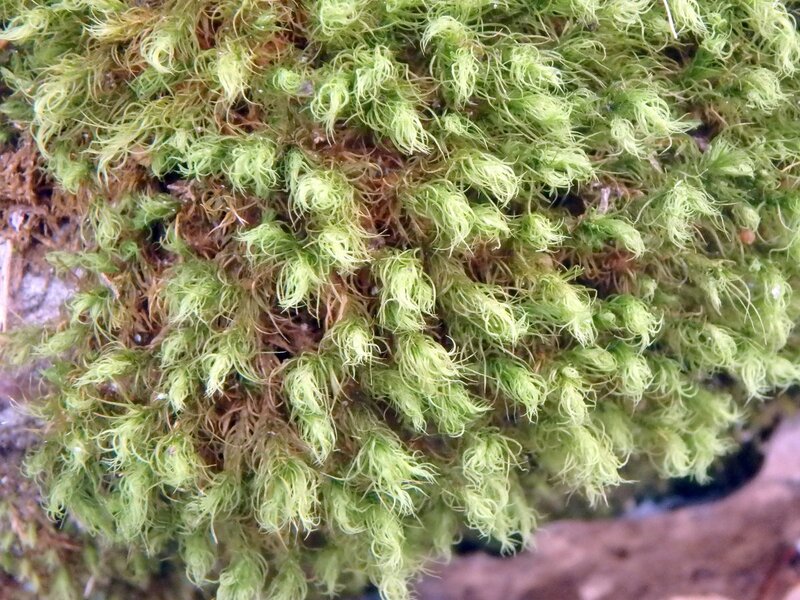 This is a common moss that likes to grow in the woods on soil, stumps or logs. Its leaves generally point in one direction and so do its spore capsules. It is said to be called “mood moss” by florists, though I don’t know why. The example in this photo was very dry, which does affect its appearance. I know a little about another kind of broom, which is called witches’ broom. 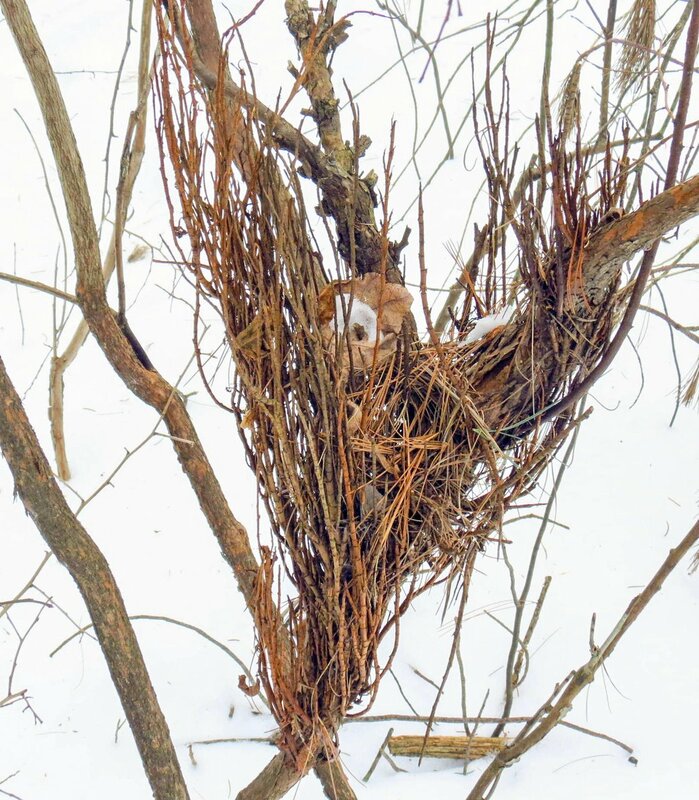 It’s a plant deformation which appears as a very dense cluster of branches and it is usually found on woody shrubs and trees, like the white pine in the above photo. Witches’ broom can also happen on food crops and in some cases it can be fatal to the plant. Rice for example, will die if the fungus that causes witches’ broom reaches it. Each plant has a different fungus that causes the broom deformation in it, so the one that causes it in rice will not affect any other plant. The witches’ broom fungus that affects potatoes causes the tubers to form on top of the soil rather than under it, and potatoes exposed to sunlight become toxic by forming a toxic alkaloid called solanine, so this will ruin the crop. 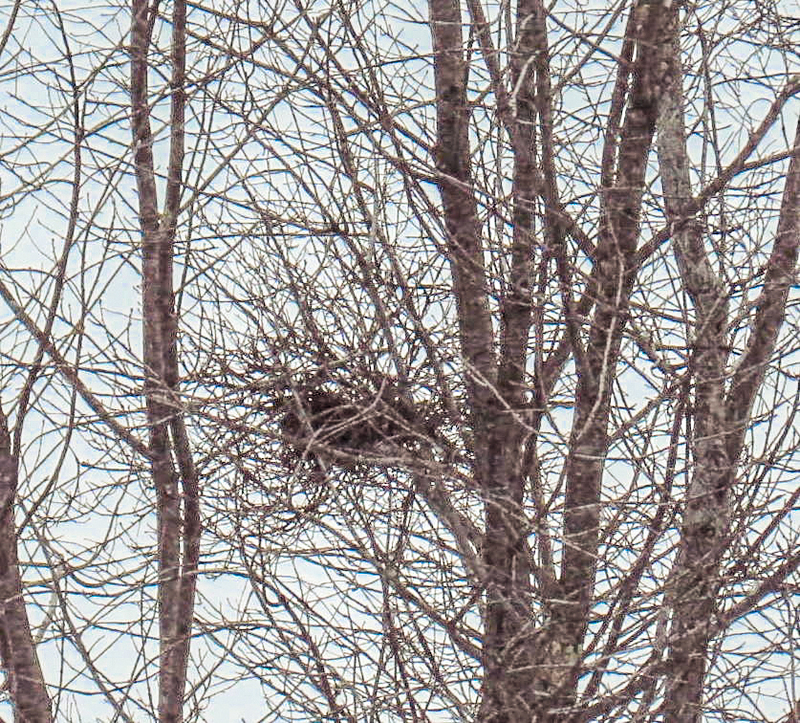 Mistletoe is a type of broom deformation but we don’t have it here, so this witches’ broom on a maple tree must have been caused by a fungus. It isn’t always a fungus that causes it though; in honeysuckles it is caused by an aphid and on hackberry trees it is caused by both a powdery mildew fungus and a tiny mite. On cherry and blackberry it is caused by a bacteria carried by insects from elm or ash trees. The most common form of witches’ broom that I see forms on highbush blueberry bushes. This fungus lives part of its life on balsam fir trees. It is a rust fungus that must have a fir and blueberry as hosts, so the fungus from one blueberry bush can’t infect another blueberry. Most witches’ brooms in fact need two host plants; the fungus that causes witches’ broom in fir trees must have chickweed as a host and the fungus that infects spruce trees needs bearberry as a host. Though witches’ broom on blueberry plants can be unsightly it doesn’t seem to harm the plant. When I was gardening professionally I picked blueberries from a bush with a large witches’ broom on it for years. 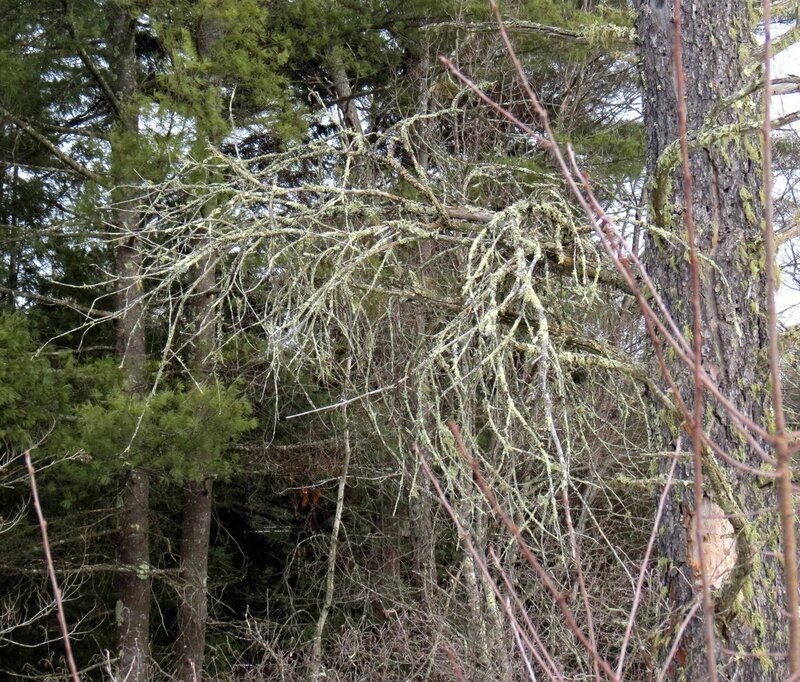 This photo shows the dense mass of deformed branches that are typical of witches’ broom on blueberry. 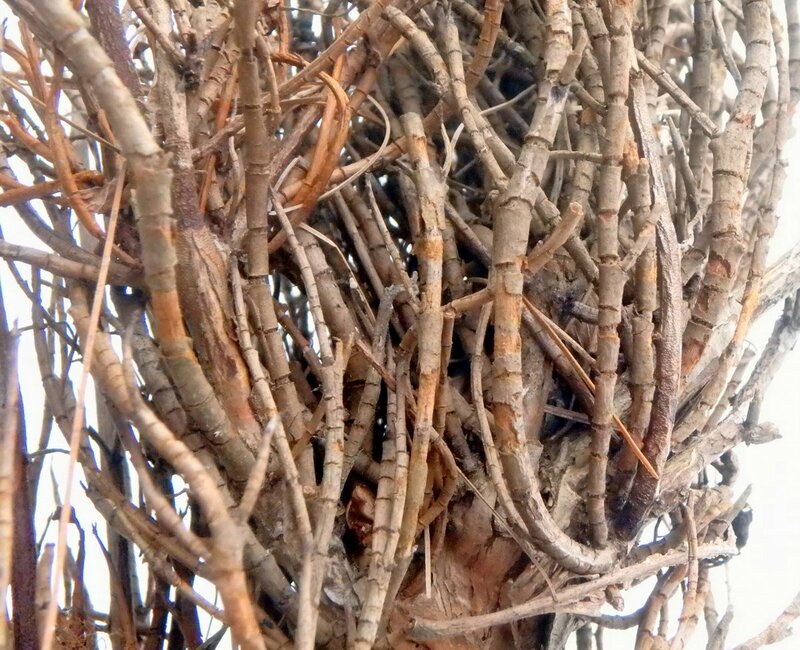 Medieval writers wrote of bewitched bundles of twigs called Hexenbesen, which were obviously caused by witches. In 1453 warlock Guillaume Edelin confessed to flying on a broomstick. 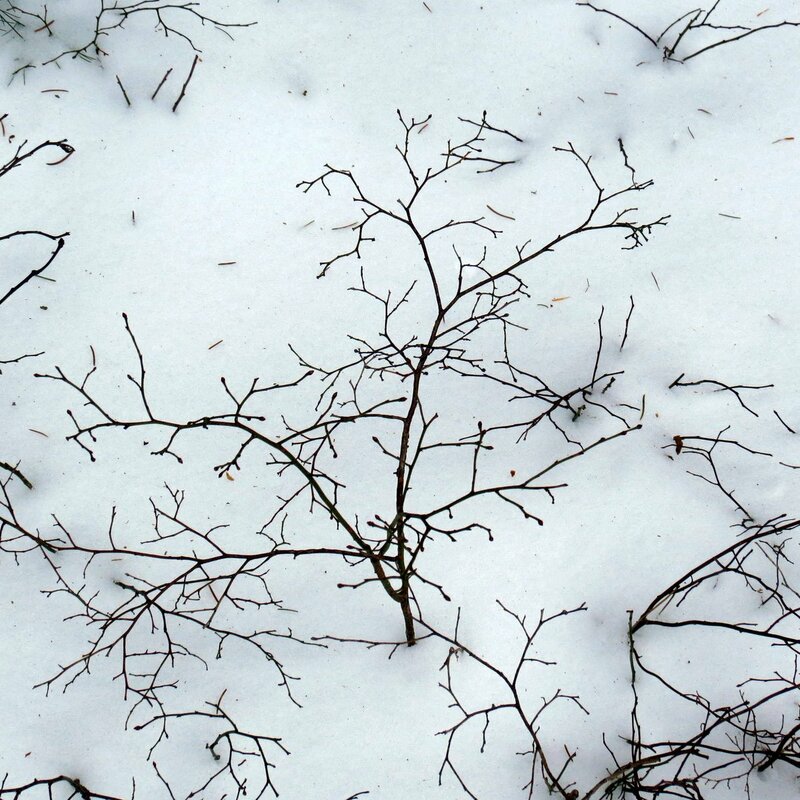 I’ve never seen witches broom on lowbush blueberry plants, but I like their spidery branch structure against the snow. Now we come to the third kind of broom, the sweeping kind, which I knew nothing about until I did this post. 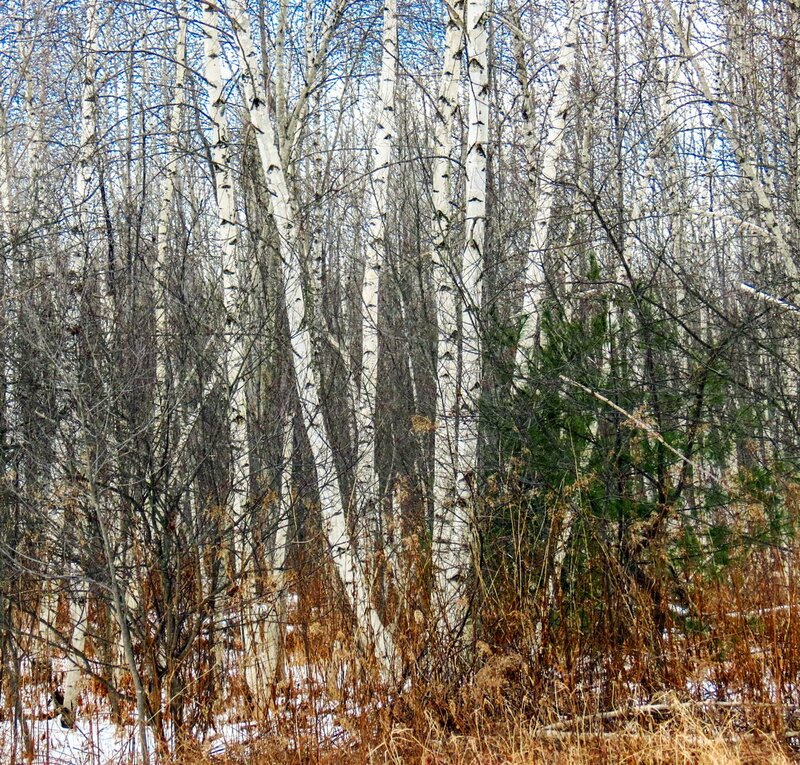 Historically, brooms were made of just about any natural material you can imagine, including birch branches. It seems though, that people always found fault with them; they wore out too fast, they didn’t clean as well as they liked, etc. But then in 1797 in Hadley Massachusetts farmer Levi Dickinson made a broom out of sorghum, which is a grain native to Australia that he grew. Levi also eventually made a machine that made brooms faster than he could by hand, because everyone wanted one of his brooms. Levi and his broom machine owned the broom market until the Shakers invented the broom vise in 1798 and made the normally round brooms flat. Levi and the Shaker’s broom machines are credited with starting the industrial revolution and gave us the flat brooms that we all use today. 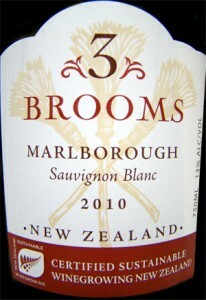 If you Google “3 brooms” like I did after my dream this is what you come up with. I don’t drink wine so I have never heard of it. I thought it was interesting that the brooms on the label are old style, before the Shakers re-invented them. 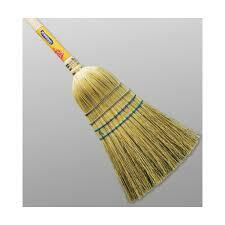 This is the kind of broom that was used for thousands of years; sweeping is even mentioned in the Bible. Well, I’m sure we all now know more than we ever wanted to about booms. Let’s hope I never dream of vacuums. I’m sorry this post strayed so far from my usual fare but doing a broom post allowed me to sweep away all thoughts of going outside in the bitter cold we’ve had. It was about -9 degrees F. the morning I started this post and it hadn’t reached freezing (32 degrees) until about 3 o’clock that afternoon, which was much too late to get out and take photos because it gets dark so early. I’ve found that, due to COPD, extreme cold is much harder to bear these days and in fact the doctors say that it can be dangerous. There is a bright side though; Punxsutawney Phil the groundhog didn’t see his shadow so spring will come early, even though the calendar says we’ll have 6 more weeks.